I pulled into my community last week after dropping off my kids from school. My to-do list was growing, in spite of the holiday, so I definitely didn’t need to add “car maintenance” to that list. And yet, here my neighbor comes tapping on my window, gesturing at my tail light. For a moment I’m confused. My car is new-ish so nothing should be wrong right? Wrong! I look at the odometer and I realize that it’s probably time for an oil change. And next week it’s going to rain. Begrudgingly I realized that a trip to the car repair shop is necessary. Or is it? Breakdowns, minor and major repairs, and routine maintenance are all part of owning a car. The problem is that they happen at the most inconvenient time. I have to admit that every single time my car has to go in for service, I’m mildly annoyed. It means I have to take at least half a day off to spend at the repair shop. I’m lucky if I can get WiFi, so that time isn’t completely wasted. It is inevitable. Your automobile has to be serviced. But is it really mandatory that you spend all of that time at the repair shop? 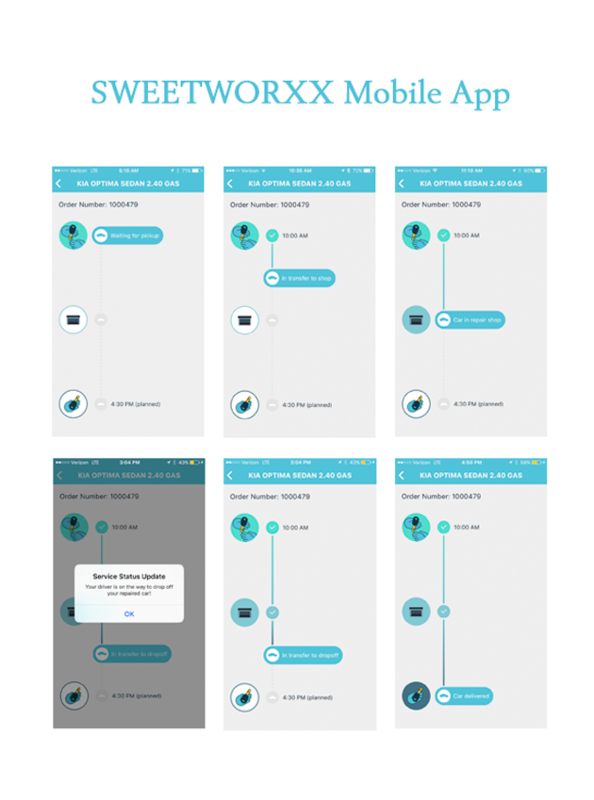 Earlier this Fall, SWEETWORXX launched their mobile app, now available for Android and iOS platforms. 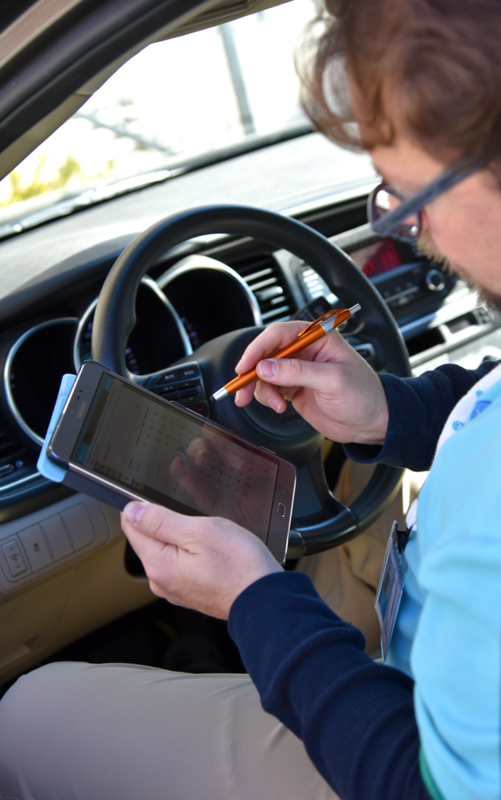 The app was designed for anyone’s who’s never wanted to take their car to the repair shop. Spend time shopping for the gifts you didn’t get this Christmas, have lunch with a friend seaside, or help your son practice his soccer skills…all while your car is being serviced. When the app launched, I had an opportunity to spend some time talking with the SWEETWORXX team about how the app works. Because my car had just been serviced, their team washed my car while I kayaked with my mom around the harbor. While I understood the concept, it wasn’t until earlier this week that I actually had my first experience with SWEETWORXX. I already had the app downloaded onto my phone and my vehicle information had been saved from my first meeting with SWEETWORXX. I simply browsed the services and decided on the Basic Maintenance Option which includes a synthetic oil change, an oil filter change, new windshield wiper blades, a new cabin filter, and a new pollen filter. I also made note of the rear tail light since that isn’t an option at present. Depending on the week and the team’s availability, you may need to schedule your desired service a few days out (minimum of 48 hours). Select the date and time you would like the car picked up and returned and simply wait for confirmation via the app. 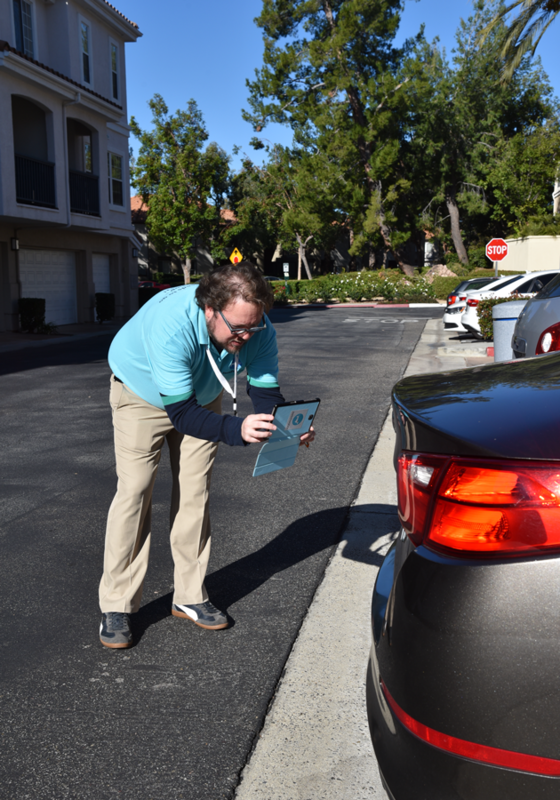 On the day of your scheduled service, a professional driver will show up at your home, office, or desired location to pick up your car. Be sure to have your driver’s license, registration and insurance card ready to present to your driver. He or she will then do a walk around your car, taking note of any scratches or marks via photographs. 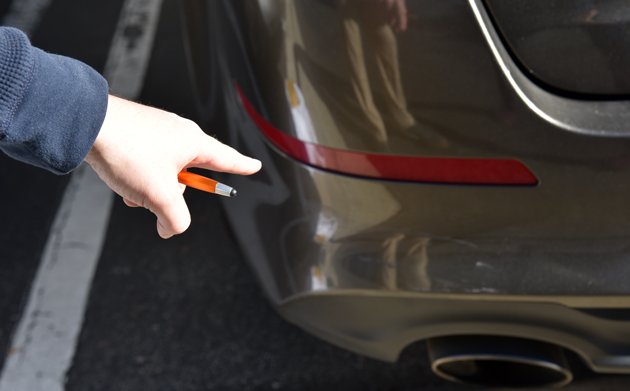 This is done to ensure that your vehicle is returned in the same condition. We discussed the proposed service and the tail light, signed the required documents, and he was on his way to the local repair shop. 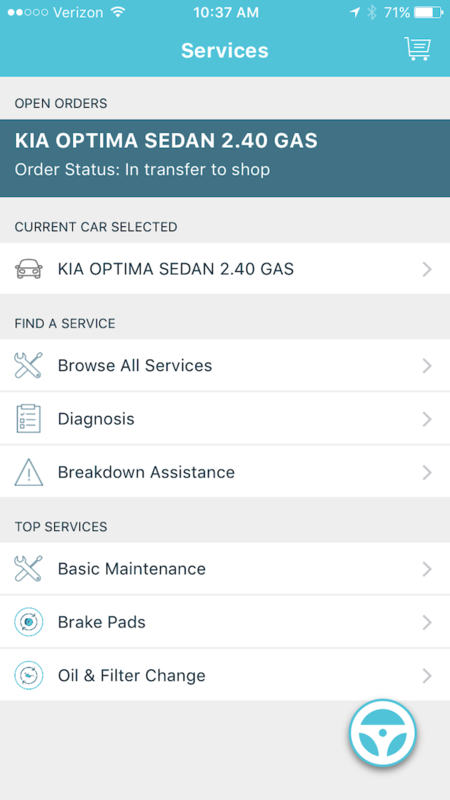 While my car was being serviced, I was kept informed regarding the status of my vehicle the entire time via phone and the app. The maintenance team did not find anything wrong with my car, thankfully, so the only services provided were those from the Basic Maintenance Service and a replacement of the rear tail light. 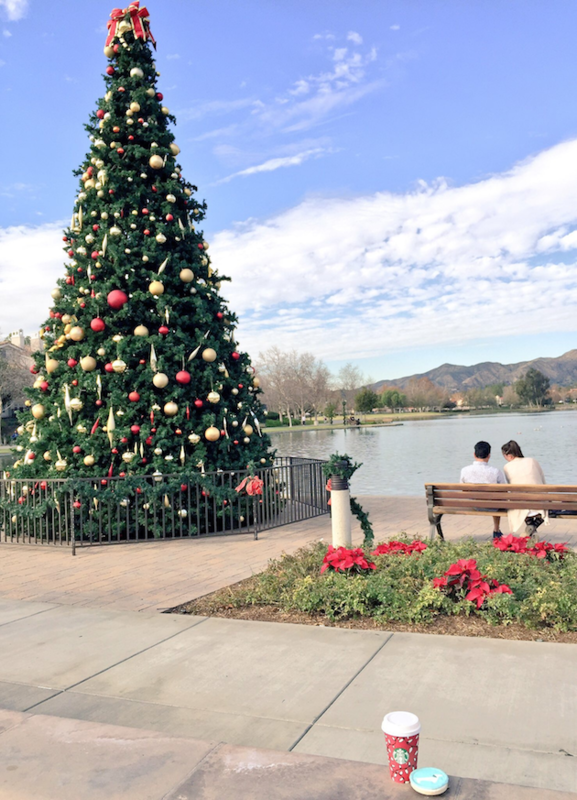 While my car was being serviced, I had lunch on the lake, took a long walk, and enjoyed a latte. It was the most relaxing car maintenance appointment to date! Before I tried SWEETWORXX, I had several questions about the process so I thought I’d share those questions and responses here. What if the service I need is not listed in the app? You can either list the desired service or problem in the notes section during the scheduling process, or you can use the Diagnosis Option to describe the situation. What if the service team finds additional maintenance concerns? The SWEETWORXX team will keep you apprised of the status of your vehicle during the time it is at the repair shop. If an additional maintenance issue is discovered, the team will call to discuss the issue, provide a quote, and a timeframe for repair, if desired. You can also opt not to have the team fix the newly discovered problem. What if I need a rental car during the service period? 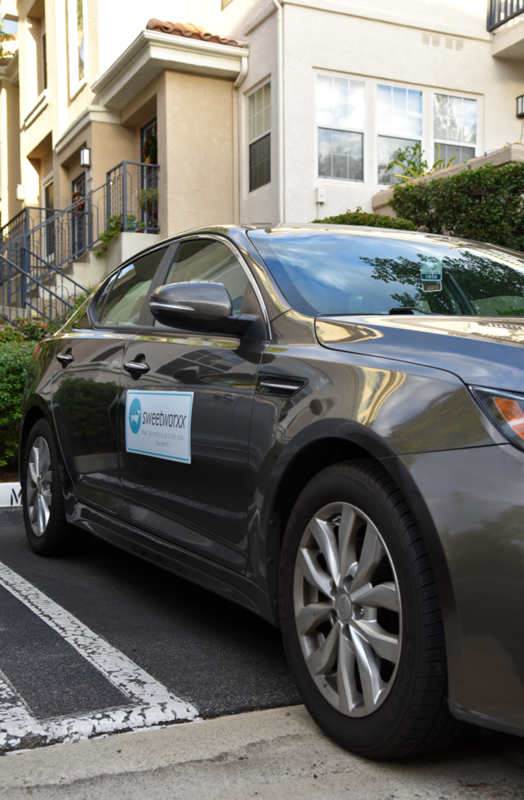 Simply inform the team during the scheduling process of your request for a rental car and they can provide a quote. How do I know which repair shop my vehicle will be going to? 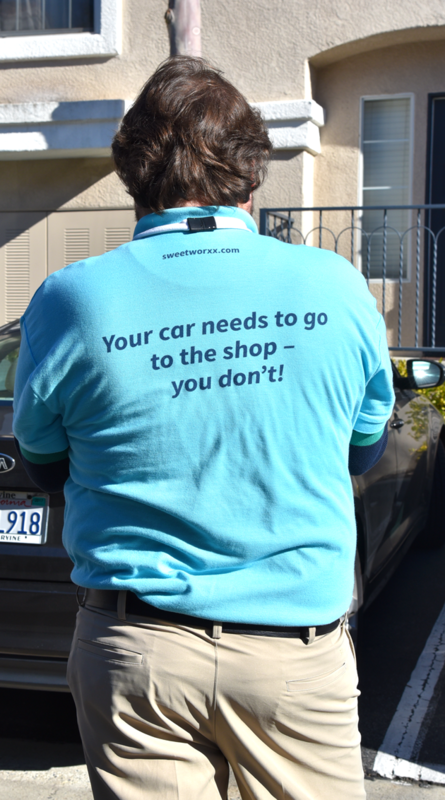 If you want to know which repair shop your car will be taken to, simply ask the driver. That information will also be on your final invoice/paperwork. SWEETWORXX is currently available to anyone who resides in Orange County, California, including Orange, Irvine, Fountain Valley, Laguna Woods and Laguna Hills. 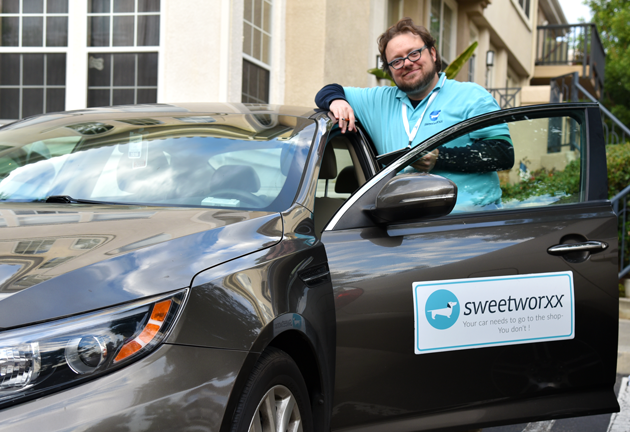 Right now, you can save 25% off any SWEETWORXX service with the code SWEETCAR25.